Nier: Automata is one of the big games coming to the PS4 this year, a third-person action game set in a post-apocalyptic world that could end up being one of this year’s biggest hits. It also features open-world gameplay like many new games these days, and judging by the game’s most recent gameplay video, it looks like Nier: Automata could turn out to be something special when it releases next March. 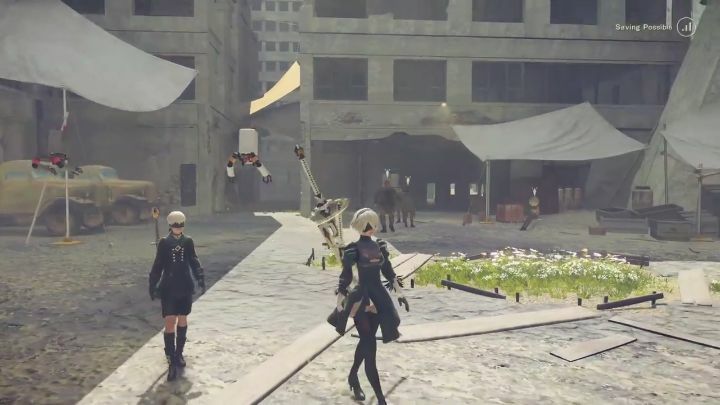 In Nier: Automata players find themselves in the middle of a machine war, taking control of an android fighting for a resistance movement that’s attempting to win the war. Aside from the main quest, players will be able to access a variety of side quests and also explore the game’s post-apocalyptic world to their heart’s content, even riding some of the wild creatures roaming the game’s landscapes. The game also has an intriguing “death mechanic”, as dying in Nier: Automata will work in a slightly different way than it does in other video games. This is because since players are in control of an android in the game, its memory and data are “uploaded into a new body” when you fall in combat, as explained on the PlayStation Blog. Nier: Automata is definitely looking like it could be an interesting PS4 release this year, although it remains to be seen whether it can stand out amongst the crowd this year, taking into account that other superb-looking titles like Horizon: Zero Dawn and Mass Effect will also be seeing a release this March. Although it would surely be a great thing for lovers of open-world gameplay and sci-fi games (or androids…) if Nier turned out to be a game to remember when it hits shelves this March. Note: Nier: Automata will be released on March 7, 2017 in North America, and March 10 in Europe. Available on PS4.